Domed colonies as City-states! They tell the universe that they govern themselves and yet the powers-that-be back on Earth are sure that they are. So many people KNOW that they are in charge of this or that place. Colleges, corporations, governments, private foundations, and the locals are all filling legal briefs over whose claim is true. If that dosen't spur the development of space combat forces, nothing would. Legal, military, and political confusion abound! The golden age SF writers would love it! As the saying goes, possession is nine tenths of the law. Ownership, control, sovereignty - all of them subtle concepts that may play out differently in space. The story you're thinking of is "Scavengers in Space", by Alan E Nourse. Grif - Yes, that's it! Thanks! The idea has its roots in secret passageways and catacombs, but is there any earlier use of ventilation ducts or other modern interstitial passageways, either in SF or contemporary thrillers? There's also a meta-history of asteroid mining waiting to be written. Scavengers was published in 1958. Heinlein's Rolling Stones dates to 1952. (Same as me!) Heinlein's mining culture is proto Belter. Nourse's is dominated by big corporate refinery ships, but didn't they have Belter-ish prospectors working for them? I live in Canada, and we're often creative about avoiding the cold. Calgary (Not really a cold city, but full of suburban wimps) has the Plus 15, a series of enclosed walkways connecting the downtown office towers so you never need to go outside. The original Plus 15 corridors were built in the 1970s, and expansion has continued ever since. Expansion has gone on despite the fact that no one ever really settled the question of jurisdiction over these walkways. They're private property that takes the place of public space, and the city and property owners are still arguing about police versus private security. The property owners would like police to patrol the Plus 15, but not the spaces (Office towers) in between. The city wouldn't mind patrolling these spaces, but since it's all private property wants the property owners to pay for the patrols. And that doesn't even cover the proposal to put a transit station in the planned new stadium. This has been going back and forth for three decades, and there's only one level of government and various private industries involved. Imagine how long the arguments could last on a station built in a public-private partnership, leased to a consortium of research companies, with a Space Patrol office to deal with craft in transit and a local security office to deal with on-station crime, and a third of the station sublet to a government-backed university with its own security. That's a deliberately confused situation. You could also imaging a space station as a mall/arboretum/housing complex (The anime-model space station). The station is owned by a single company, and operates in the jurisdiction of a single government or reasonably coherent federation. The company sublets station space to smaller companies (R&D, industry, or services) and to the people who live there. Some of the larger companies further sublet their areas to smaller companies, much as the anchor stores in malls sublet their property to kiosks and cafes. And some of the residents sublet their apartments or have in-law suites. Some of the small businesses and individuals in these sub-sublet spaces are involved in organized crime. Money laundering, drug smuggling, prostitution, or whatever happens to be illegal in your setting. Does the government need a warrant to intrude on private property in this setting? Does the corporation that owns this station know about the crime ring? If the mafia threatens someone to keep them quiet, do they call station security, the cops, or another private security company altogether? As long as nothing too horrific happens in this jurisdictional blank spot, the situation can go on for a long time. The government doesn't care as long as business and property taxes keep coming in, and the people don't care as long as things don't get messy. In Calgary, a very middle class city in a very middle class country, the drug dealers have used interstitial space to evade police for a third of a century. Very interesting about Calgary! Start with the side note that raised passageways between buildings have been a standard part of the 'city of the future' image ever since Metropolis. Then add the part about it being a bit hazy who actually is in charge of them. In writing the post I took for granted that space facilities themselves would be a unity, however ambiguous the space between them. But even that may not be a certainty, particularly if space stations grow by agglutination. I agree that legal ambiguity usually thrives only so long as things don't get seriously out of hand. But so long as they don't, conditions that 'should' be unstable can last quite a long time. There are more links and analysis at that second site. Ahh...Space Stations as shopping malls...owners, backers, banks, operators, and leasees all want a say about whose in charge; not to mention the residents; then there are governments and non-governmental agencies 'back home' who feel obligated to assurt their authority over everywhere they can. As the poster from Calgary said, "That's a deliberately confused situation" To say the least! Ian - I'm reminded of 'Piracy Preferred,' a 1930 story by John W. Campbell. ('Preferred' in the title referred to that odd financial instrument that's called stock but is more like a bond. An interesting item in the piece you linked is the breakdown of expenses, including 20 percent to buy off officials. Since Somalia has no officials, or none worth buying off, I wonder if this means in Yemen or other places. And employee time sheets, no less! Ferrell - Think of it as a variation on musical chairs. So long as the legal framework is 'deliberately confused' there is room for all players. If it jells, someone (or a good many someones) stands to lose out, so it is in a good many players' interest to keep things vague. Especially the people IN space, who want freedom of action their terrestrial superiors or backers are reluctant to grant but find difficult to constrain. Confused authority is good; whether for pirates or writers...or would-be freedom fighters. Sometimes it is even good for the authorities - they have freedom to intervene or not intervene, as politics and cost may dictate. The first few generations of settlers typically looked to the motherland for authority, or for oversight on the colonial government. The government 'back home' was usually more highly regarded than the local authorities. Part of this was nostalgia and distance - Things were better long ago, the faraway queen more honest than her nearby governor. But part of it was also that 'back home' the authorities existed within a network of tradition and entrenched power relationships. In the colonies the only check on the governor's authority would be a letter sent to the homeland, a letter that would take months to arrive. For the Americans in the audience, think of it as living under a corrupt local magistrate in 1850s upstate Pennsylvania or New York. The federal or state governments may be honest, but it will be weeks at best before you can appeal to them, and the post master is probably a relative of the magistrate. And there's no frontier to escape to in those areas. The early chapters of Horatio Alger's Do and Dare give a good idea of how small life could be in even a prosperous small town. Just replace the kindly magistrate from that novel with a corrupt or stupid one, and it turns into a nightmare scenario. Herbert Carr probably would have been flogged. It takes an almost deliberate effort for the motherland to drive settlement colonies into full-scale rebellion. And bear in mind that even after that near-deliberate effort (George, man, what were you thinking?!) the majority of American colonists did not rebel. It depends on the scenario you want to use, but there's a good chance the freedom-fighters will throw the governor out the airlock and then call home to demand a better one. What ??! No Fourth of July in space? Seriously, this is a useful corrective to the assumption - understandably deep rooted in 'Murrican SF - that there 'should' be one. Another interesting variation on colony-metropolis relations is embodied in the colonial Spanish expression, 'obedzago pero no cumplo' - 'I obey, but I do not comply.' In other words, I am a loyal subject and honor your commands, but since they are totally irrelevant to my actual situation I'll simply ignore them in practice. Any colonies will split away from Earth eventually, but what form that splitting takes will depend on the drive technology. How much does fuel cost? How fast can you spit it out of the back-end of a rocket? And how much fuel (Money) is the governing authority really willing to burn to keep control of the outpost? If your answers are Not Much, Really Fast, and A Lot, then the Solar System looks like a conglomeration of urban areas dominated by a core city. On the other hand A Lot, Not Very Fast, and Not Much ends up looking like a bunch of small towns connected by a good telegraph system. At the one extreme rebellion takes the form of urban unrest, terrorism, and economic sabotage. At the other extreme, it's hard to imagine populations building up to the point where rebellion would be possible. Answers somewhere in the middle give "I obey, but do not comply" (Which also reminds me of some of the early attempts by the French to govern New France), and that's where you get pirates and smugglers and dissidents and all those other fun people. Yeah, I'm thinking way too hard about all this. That is the technological context of what I've been calling the density of power. Right now, and for the near future, space travel is so expensive that the density of power is zero, and there is no extraterrestrial power politics. 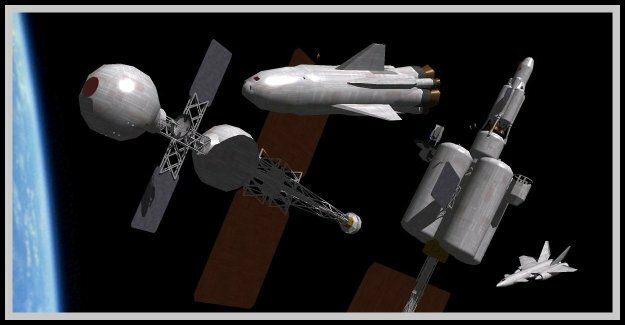 If, at some future date, interplanetary travel is nearly as quick and cheap as air travel, the density of power will be comparable to the developed world today. Somewhere in between is where the colorful stuff happens. Note also that there is no real historical precedent for a situation where communications are on a time scale of hours while travel is on a time scale of weeks or months. It was approximated in the late 19th century - when undersea telegraph cables were in place, but going 'around the world in 80 days' was an achievement. But that era was quite brief, and the telegraphy network was extremely limited. Another interesting point would be how expensive are interplanetary transmitters & receivers? If they are expensive enough there will be only one on the asteroid colony & the authoritarian governor can censor the information flow. If anyone can cobble together such a device from readily available components, local tyrannies will have a harder time. Comms ought to be (relatively) cheap and easy. Present day deep space probes have fairly small, low-power equipment, and can stay in touch with Earth right out to the Kuiper Belt. Big radiotelescopes are only needed at the Earth end. And with tight beam lasers, shipboard installations can probably communicate directly with each other over interplanetary distances, so long as you know where to point the laser.